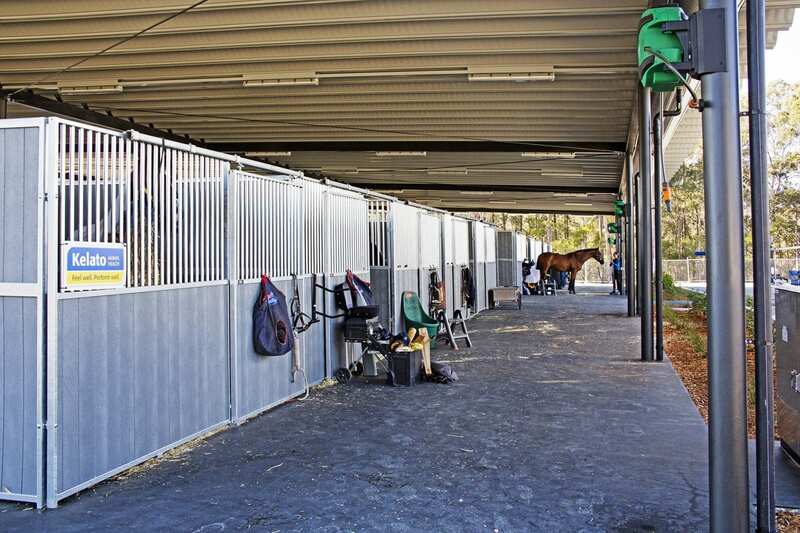 There are a total of 200 event stables on site. Of the 200 Event Stables, 160 of these are located on the opposite side of Forster Drive to the covered arena. 40 are located near the Campdraft Arena and Showjumping Field. They are 3.6m x 3.6m, with rubber-lined floor. There are stallion bays located at the ends of each row of stables. 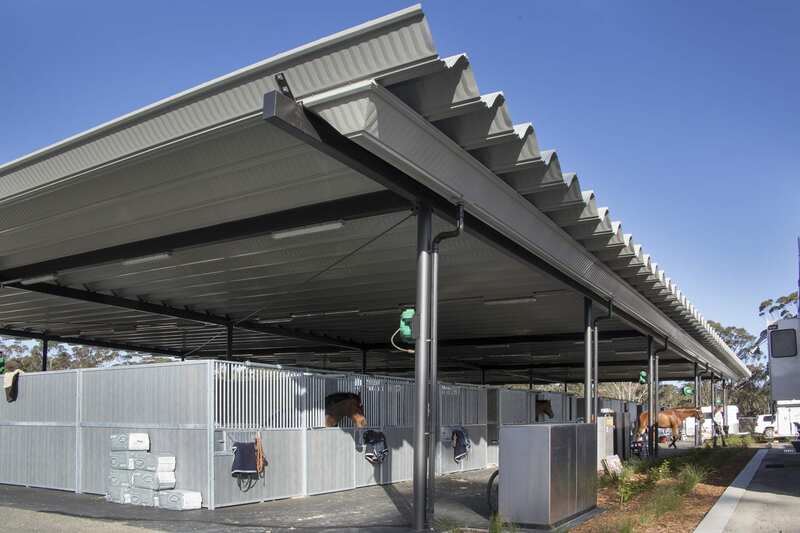 Some of the event stables have automatic waterers and feed bin. Please bring a water bucket in case your stable is not fitted with a waterer. There are taps in each row of stables for your convenience – not drinkable for humans but fine for horses.